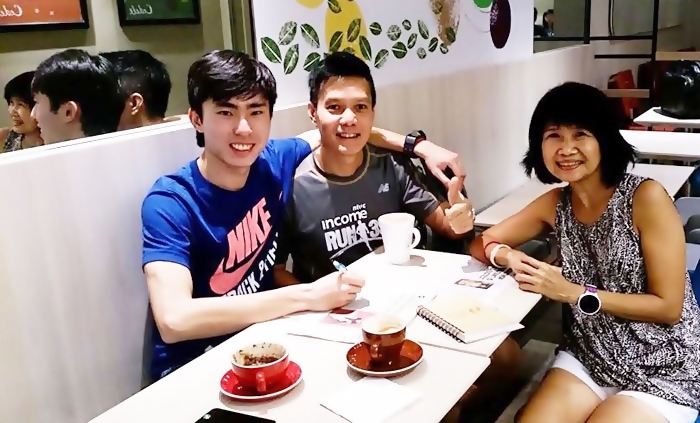 A conversation with Soh Rui Yong: Singapore's Fastest Marathoner | JustRunLah! IF I can have only one word to summarize Soh Rui Yong, Singapore fastest marathoner of all time based on IAAF certified marathon courses (2:24:55 at the 2016 Bank of America Chicago Marathon), it would be CONSISTENCY. 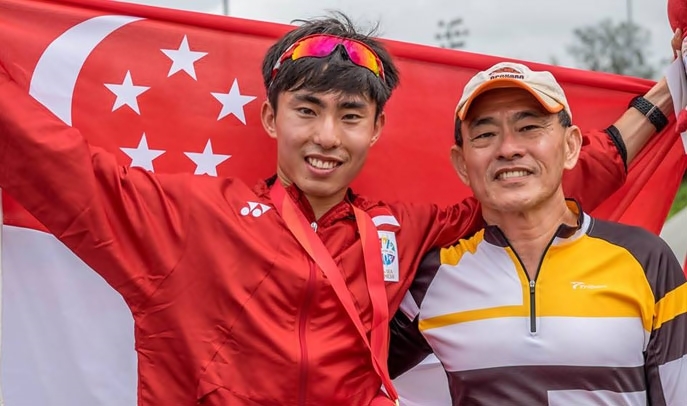 Like most Singaporeans, I first came to know his name in a 2014 Straits Times report that says that he broke the national record of 10,000m in a new record time of 31 min 15.95 sec. The old record of 31:19 by P.C. Suppiah was 41 years old. On a few occasions, Doris Teo (my wife) and I had the privilege of sipping our favorite cup of beverage in a downtown café while we listened with great pleasure about his training stories including the one in Iten, a rural village in Kenya. During each meet-up, he left us an indelible impression of a very determined young man who sets the benchmark so high for himself to a point that it feels ouch. Thus we were not the least bit surprised that in his struggle to prove his ability in high performance sports he has had to overcome bumpers that come his way including a nagging plantar fasciitis – tissue inflammation at the bottom of his left foot in 2015. Now, with the injury history behind his back, Rui is back running 6 days a week with 1 rest day. As a high performance athlete, I was surprised when he told me that he plans his training in a 2-week cycle according to how he feels. Waking up at 5.30 am on most of mornings, he starts the day with his workout before switching on his computer. Halfway through our conversation in his office at Sport Singapore, it suddenly dawned on me that at 25 years old, Rui is on track with what he wants to achieve in life. When I was at his age, I was still wandering aimlessly not knowing the purpose in life. For a moment, I felt embarrassed. There are many valuable lessons one can learn from Rui even for someone like me who is double his age. 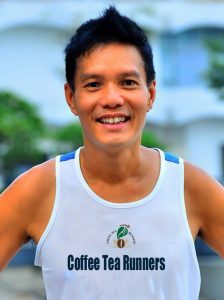 After all, I have heard him spoke in 3 running clinics where his presentations inspired audience to run their best – one in Kallang Practice Track and twice in Young NTUC platform at One Marina Boulevard. To say that one understands the frustration, struggle, sacrifice and perhaps a moment of self-doubt in his running career is an understatement. 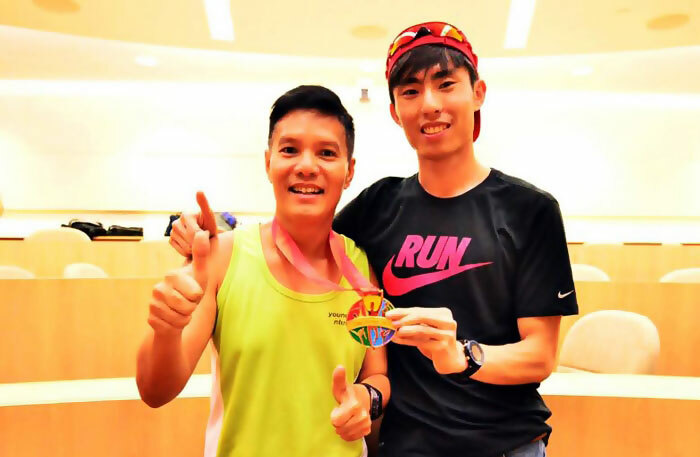 Run with Rui – Rui spoke to a group of avid runners in Young NTUC platform, 21 Dec 2014. Consistency is the key takeaway point. Simply put, Rui was neither the fastest nor the most talented runner when he first started but with consistency, he made it out to be of what he is today. 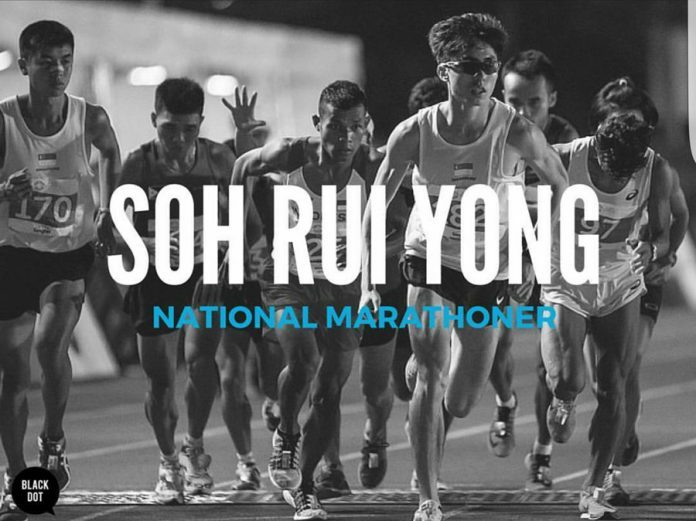 Rui Yong inspired the audience by donning his hard earned 28th SEA Games marathon gold medal onto everyone to encourage them to run their best, 21 Dec 2015. As I sip over a cup of tea in Fun Toast at Kallang Wave Mall, in retrospection, I couldn’t help but sensed that something is missing in his life. I just couldn’t figure it out. But one day, if I do, I will share with you. Right now, I am practicing the art of being consistency.